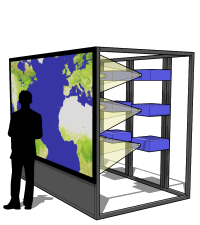 The VisWall™ product is a scalable high resolution PowerWall display. 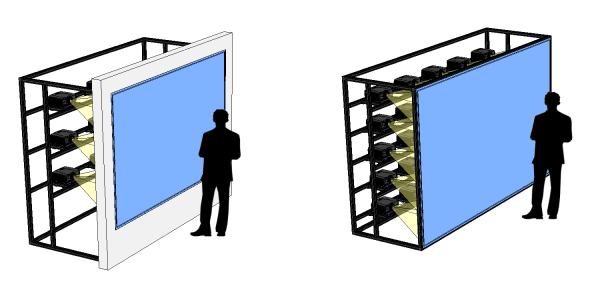 The tiled display wall is achieved by the highly accurate alignment of multiple projectors. 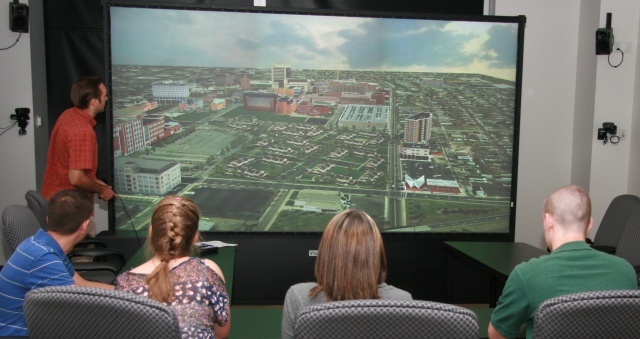 The VisWall allows small groups of people to collaboratively examine incredibly detailed imagery or incredible amounts of information at once. Read more about VisWall Applications. 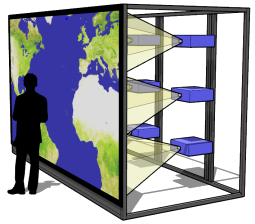 The VisWall is custom designed and built for each customer according to size and resolution needs. 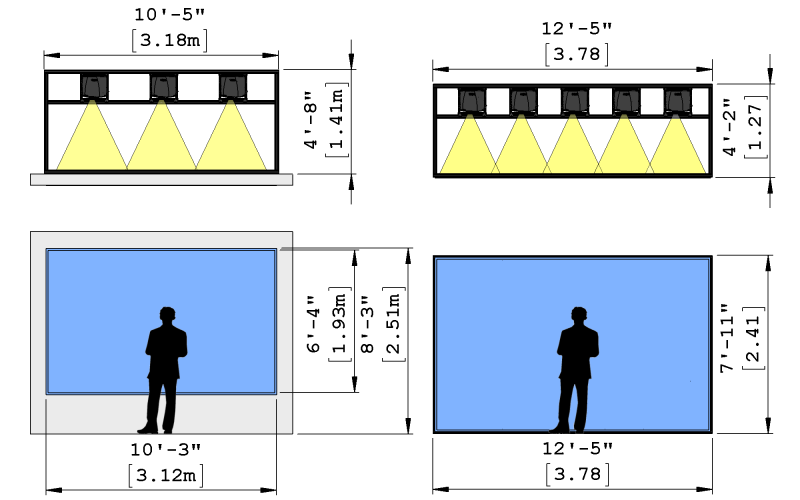 Parameters include individual projector resolution, number of projectors, and individual tile size. 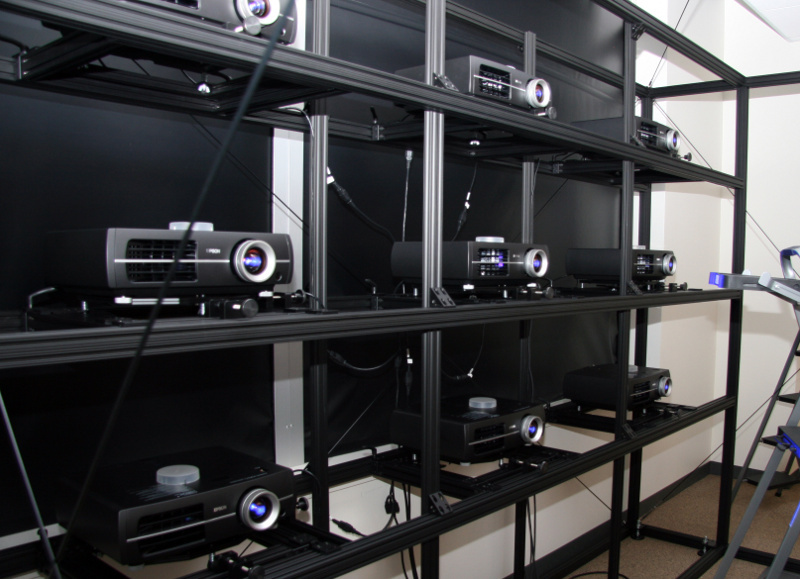 Pictured to the right is the VisWall-T9 from the Center for Comparative Genomics (CCG) at Murdoch University, a high resolution display consisting of 9 precisely aligned projectors. The VisWall PowerWall enables very high resolution collaborative visualization. Read more about VisWall Applications. – Aggregate aspect ratio – 4:3, 16:9, other? Many of these are interrelated. For instance, the depth of the display (the throw distance) is a function of individual tile size and projector model optics. Often, a customer has certain needs (e.g. aggregate resolution) and constraints (e.g. size of room) that help determine the appropriate solution. Want to know more? Contact us for pre-sales support. – Installed and calibrated on-site by Visbox Inc.
Other options are also available. Contact us for pre-sales support. 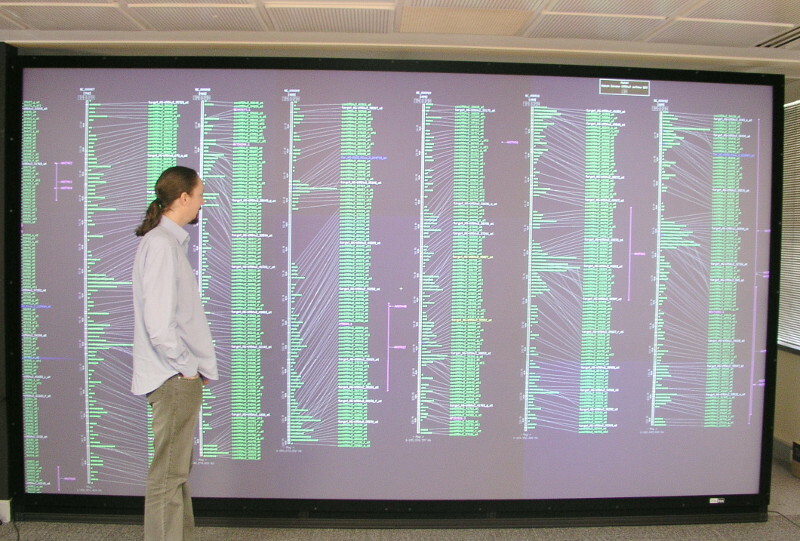 The VisWall is ideal for very high resolution collaborative visualization. It is truly scalable in both resolution and size. 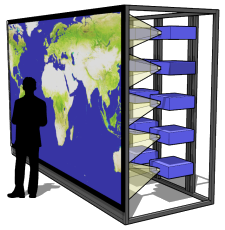 The VisWall display is custom designed and built according to your size and resolution needs.